CloudCraze is the first and only proven Enterprise eCommerce Platform developed natively on the Salesforce Platform. 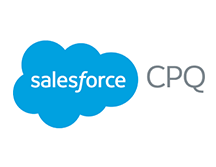 It delivers the reliability and scalability of Salesforce to B2B eCommerce software while sharing data and processes with existing Salesforce CRM deployments. Born from the CloudCraze acquisition and built natively on the Salesforce Platform, Salesforce B2B Commerce delivers robust B2B commerce functionality. Loaded with amazing features, it generates online revenue fast, easily scale for growth, and always stay connected to your customers. View product details including product name, price, rating, review, product features, Coupons, related products and promotions etc. Full-featured cart with wish-lists, quotes, calculated taxes, shipping, order view, payment options, confirmation, and email. Order history and account management with default billing and shipping addresses. Manage and configure multiple unique storefronts. Built in analytics and reporting functionality that allows you to capture and expose appropriate data to Google Analytics to optimize the information you receive. Provide streamlined, B2C-inspired ecommerce experiences for your business customers. Make business ordering super easy with two-click reorders, multiple ship-to locations, and multiple payment types. Comes with B2B-specific features right out of the box, including account hierarchies, contract pricing, custom catalogs, and account management to meet the complex needs of B2B customers. Salesforce B2B Commerce is built natively on the Salesforce platform, enabling you to connect your Commerce and CRM data for a single view of the customer. That means 100 percent connectivity, 24/7. Faster adaptability to market dynamics and customer needs. Create new business models on demand, rather than waiting months for updates. Always stay connected to your customers across every touch point by combining B2B Commerce with marketing, sales, communities, and service. Deploy in months, not years. Start selling sooner with the fastest available implementation of all major enterprise B2B commerce solutions. Copyright © 2019 Rave Digital Inc.